Some relationships are easy (friends), some difficult (enemies). The most challenging relationships are in the home where we can’t avoid each other or hide our feelings. 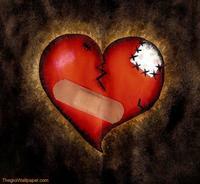 Conflicts, harsh words, and broken promises create broken relationships, broken homes, and broken hearts. Fortunately, God has an app for that. James 4:1-12 What causes fights and quarrels among you? Don't they come from your desires that battle within you? You want something but don't get it. You kill and covet, but you cannot have what you want. You quarrel and fight. You do not have, because you do not ask God. When you ask, you do not receive, because you ask with wrong motives, that you may spend what you get on your pleasures. You adulterous people, don't you know that friendship with the world is hatred toward God? Anyone who chooses to be a friend of the world becomes an enemy of God. Or do you think Scripture says without reason that the spirit he caused to live in us envies intensely? But he gives us more grace. That is why Scripture says: "God opposes the proud but gives grace to the humble." Submit yourselves, then, to God. Resist the devil, and he will flee from you. Come near to God and he will come near to you. Wash your hands, you sinners, and purify your hearts, you double-minded. Grieve, mourn and wail. Change your laughter to mourning and your joy to gloom. Humble yourselves before the Lord, and he will lift you up. Brothers, do not slander one another. Anyone who speaks against his brother or judges him speaks against the law and judges it. When you judge the law, you are not keeping it, but sitting in judgment on it. There is only one Lawgiver and Judge, the one who is able to save and destroy. But you-- who are you to judge your neighbor? James points out that a big problem of ours is that we love the world more than we should. Consequently, the world changes us instead of us changing it. Why do we love the temporary things of this world? The sin of selfish pride is what attracts us to the things of the world and creates a war within us and among us. When we succumb to this selfish pride, we pursue worldly things at the sacrifice of a personal relationship with God and others. In the process of pursuing our selfish prideful interests, we hurt others and we get hurt,too. On the other hand, a humble person is attracted to God and desires to be changed by Him. The humble person is willing to sacrifice any desire or worldly thing to gain a closer relationship with God and serve others for Christ. James tells us how easy it is to distinguish between pride and humility. When relationships are not going well, we have a pride problem. We want what we want and believe no one should prevent us from having it. It is our right! So in Vs 1-2 James is saying we want and don’t get because we leave God out of the process. When we do ask God, we want God to do our bidding, we do not want to do what He commands. This is the ultimate form of pride, arrogance, and rebellion. Vs 3 says we have impure motives for asking, trying to get things of the world instead of the blessings of Christ. God is not fooled by our tears and loud cries for an answer to prayer. He knows the motives of our hearts. Vs 4-5 indicate that God, like any good parent, is not going to grant the desires of a spoiled child. Instead, He will give them what is best for them. Furthermore, God is a jealous God as the first commandment states. God wants us to desire Him, love Him, and pursue Him. All other pursuits apart from God lead to a broken heart. To be God’s friend we must separate from the world. You adulterous people, don't you know that friendship with the world is hatred toward God? Anyone who chooses to be a friend of the world becomes an enemy of God. A proud person wants worldly things to satisfy self and to appear better, more successful, and more important than others. He does not realize, nor does he care, that he is an enemy of God. This is why we get our heart broken in our relationships and why we break others hearts in revenge. In our selfish pride, we want the other person to fulfill our desires rather than try to please them. When they don’t do as we expect, we retaliate or we leave. As a result, we act like a bunch of pagans instead of Christians, getting hurt and hurting others. Matt 6:32-33 For the pagans run after all these things, and your heavenly Father knows that you need them. But seek first his kingdom and his righteousness, and all these things will be given to you as well. The problem is not our circumstances or lack of wealth but our pride that wants to sit on the throne of our life. Unknowingly, we are at war with the Holy Spirit as well with other people around us. If we humble ourselves, the Holy Spirit can change our focus from self to God and others. He can restore our broken hearts. V 6 gives us hope. We can recover from past mistakes by the grace of God, but our prideful sin nature is an obstacle. It must die, and we must be born again of the Spirit of God. Then we must be continually filled with the Holy Spirit. The Holy Spirit changes our disposition because Christ is now in us, not just around us. His Presence in us gives us peace with God and with others. Furthermore, temptation and the world have no power in the presence of Christ. Nevertheless, satan tempts us, reminds us of our past, and accuses us. James tells us in vs. 7 to resist him and he will flee. By the way, the next time satan reminds you of your past, rebuke him and remind him of his future! V 8-12 God can heal our broken heart, but we must get into a place where we can be healed. Pay close attention to the verbs in these verses. They are the pathway for healing. Grieve, mourn and wail. (be sincerely, deeply, sorry over what you have done) Change your laughter to mourning and your joy to gloom. Get serious with God. Make restitution if possible. As we judge ourselves, we can see we need to break with the world and stop being God’s enemy. We need to repent. The depth of our repentance and humility will determine the height of our recovery from a broken heart. If we hang on to hurts, sin, or selfish ambition, we won’t achieve the healing or intimacy with Christ that our hearts desire, but will continue hurting and getting hurt. Yes, it is a cruel world; life is unfair; and the pain we experience is excruciating. How should we react to all this cruelty, injustice, and pain? In this world, we WILL have trouble. That is a promise from Jesus. However, He told us to take heart, because He has overcome the world, we will overcome it, too. Furthermore, He is our peace. When we have trouble, it is good to know where peace is found. It is found in Jesus Christ. When He is in us, we will have His peace in us. So take heart, don’t give up, and stay focused on Christ. We are not exempt from trouble but we have hope and peace in Christ, which is our testimony to the rest of the world. Jesus has another app for our broken hearts. It is called forgiveness. When we choose to forgive those who hurt us, we take away their power over us. If we don’t forgive, we become bitter, angry, and miserable while the one who hurt us goes on with their life unaffected. Also, if we don’t forgive their sin, our Heavenly Father will not forgive us of our sin and we remain unhealed. Heartbreaks from the loss of a loved one, a marriage, or a child can take a long to heal, but God is right there in the midst of our pain. He wants to hold us and heal us during those times. Being hurt or heart broken does not make us damaged “goods.” God never wastes a hurt. He uses it to make us better people. He rebuilds, restores, and redeems. The experience enhances and magnifies our testimony of what God can do. When life hurts the most, we are to focus on Christ and the Cross. The Cross is where God experienced His greatest pain and suffering. People taunted Jesus while He hung on the Cross, “If He is the Christ, let Him save Himself.” How that must have hurt Him. He loves so much and is so misunderstood. Jesus had the power to come off the Cross and prove He was divine. He had a choice. He could save Himself or He could save us and the ones taunting Him, but He couldn’t do both. He chose to suffer unjustly and save us. At the Cross, we see how much God loves us. Regardless of what pain we are experiencing, God says, “I love you” as He hangs on the Cross. I John 4:10 This is love: not that we loved God, but that he loved us and sent his Son as an atoning sacrifice for our sins. At the Cross, we see God allows man freedom yet maintains control even through the crucifixion. He is always in control despite our bad choices or the bad choices of others. At the Cross, God shows He can take the worst that man can do and use it for eternal glory. On Good Friday, the Cross appeared as a horrible, terrible, symbol of unjust punishment. Ever since Resurrection Day it is a beautiful symbol of salvation to all men. At the Cross, we can be assured there is a bigger picture and plan of God than what we currently see. Therefore, when we hurt, we should run to the Cross and Jesus Christ, not away from Him. God has not forsaken us when our hearts are broken, even though it feels that way. Jesus felt the Father had forsaken Him, too, before His glorification came. Matt 27:46…which means, "My God, my God, why have you forsaken me?" The Cross is God’s megaphone of love, peace, and hope to the world. Jesus’ message of salvation and forgiveness is loudly proclaimed while He hangs on the Cross. Our ultimate purpose is to glorify God and Jesus Christ. If that is our focus, trouble cannot stop us from fulfilling it. Instead, trouble, like the Cross, will become our megaphone to glorify God. So I ask you, when trouble comes to you, and it will, what will you broadcast to the world around us—self-pity, a broken heart, or the fruit of the Holy Spirit? We need to get ready now for the suffering and persecution that is coming upon the true Church. Embrace and adopt a higher purpose for your life today. Break from the world. Live for the glory of Jesus Christ. Expect difficulty to come. Consider it a blessing to suffer for the Name of Christ. Find hope by looking at the Cross and Jesus Christ. Keep your eyes focused on Jesus. Use your suffering for His glory. God’s grace is sufficient and you can thank Him and praise Him in the midst of your trial. Then when heart-break or persecution comes, let the world see the life of Christ in us as we love our enemies and do good to those who persecute us. Why will many see and trust in the Lord? Because, when we suffered and waited patiently for the Lord, testifying to His goodness in the midst of heartache, it was a megaphone to those who heard our testimony and praise. They saw His deliverance, His peace, and His joy in our life. Let that be our testimony. Is your heart broken today? Do desire God’s peace and joy or the things of the world? Are you humble enough to confess your sin, seek His forgiveness and healing? Will you forgive others so you may be forgiven? Or are you too proud? If so, you will retain your broken heart. For those who want God to heal their broken heart or save them from their prideful sin-filled life, humble yourself by coming forward to confess it to Jesus. He won’t reject you. Give Him your life in baptism, if you have not done that, and receive His Holy Spirit. Then Christ will be in you. Likewise, if you have been baptized, give Jesus all of yourself again. Put Him in control, wait on Him, and He will lift you out of the miry pit you are in today and heal your broken heart.